HubSpot Setup - Everything You Need To Know! EVERYTHING YOU NEED TO KNOW AND DO! Just getting started with setting up HubSpot? When it comes to setting up HubSpot from scratch, it can be a time-consuming and complex process, and there are a number of things that need to be planned and completed ahead of its implementation. Reporting, keyword research, sitemap creation, buyer personas, content strategy, goals, lead capture, sales management, CRM integration - all of these things need to be carefully considered ahead of implementing HubSpot. The thing is, HubSpot is much more than just marketing automation; it’s a full stack of powerful tools to help you drive your business’ marketing, sales and customer service activity. In fact, it's the best solution on the market. However, knowing how to bring all those tools together to support your website and your marketing strategy is key - but doing so will require significant changes to your current setup. Implementing HubSpot will ultimately mean overhauling (and improving) some or most of your current processes, but it will put you in a better position to market and sell effectively, as well as help you to grow your business. As with anything complex, it’s all about breaking the process down into digestible chunks which can be easily understood and achieved - and that’s where we can help! The first place to start is with a plan. 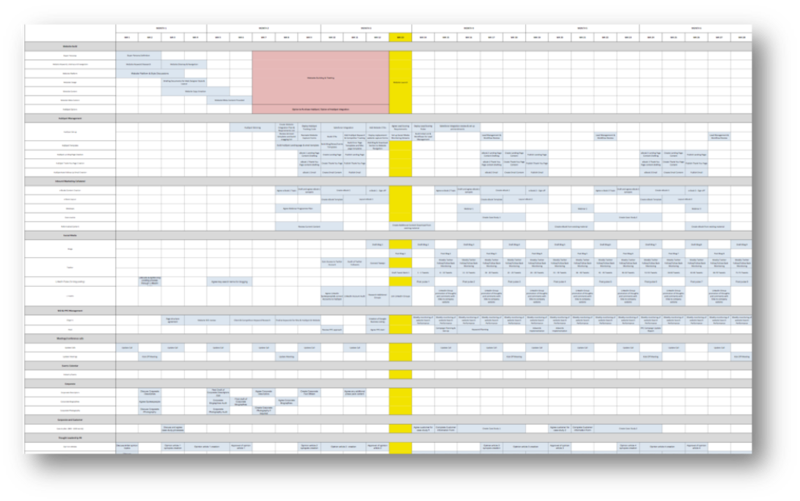 Building a timeline plan will allow you to visualise the entirety of your project from the offset. Rather than developing a hugely detailed plan, design the framework for your project first and then add detail as you go. This way you avoid the problem of over-expectation and assigning far too many tasks in an impractical period of time. We love using Gantt charts for this. You start off by placing all of your deliverables into your planner (e.g. a blog), and then you can work your way back to understand each individual action that needs to be complete so that their blog can go live. If you haven't agreed on the key performance indicators (KPIs) relevant to your business and aligned them with the metrics in the HubSpot tool, now is the time to do so. Firstly, what are you looking to improve? Website traffic? Leads generated? Opportunities? Regardless of the metrics you are looking to improve, it's important that you agree on them and set up HubSpot to track them for you. Below are most of the metrics used by marketing automation platforms to measure marketing performance. We would expect that a list similar to this would be reported on every week, month and quarter - which is great, but how do you actually measure the success of your marketing campaigns without a goal to compare the metrics against? Planning how you set up HubSpot is essential - we highly recommend checking out these 5 things you should do before implementing HubSpot. Without a goal, you have no way of telling if your marketing activity is actually working. Therefore, you need to set SMART GOALS. Smart goals are... Specific, Measurable, Achievable, Realistic and Timely; they help you to track and measure your marketing efforts against agreed goals. Before you start setting up HubSpot, you need to identify your keywords; the core terms and phrases which describe your business, your service offerings, and ensure that interested parties can find you when searching online. While this all sounds simple, keyword research is an ongoing and complex process. For example, if you are a software vendor, generating a stream of traffic through a generic keyword term such as ‘software’, is unlikely - purely because you will not be the only business targeting that particular keyword. Also, avoid using highly competitive keyword terms as you will have little to no chance of ranking on the first page of Google. Instead, target long-tail keyword phrases, which are essentially three or four-word phrases incredibly specific to a product, service or solution you are offering, as it will not only be easier to rank well and possibly rank on the first page of search engines, but will also allow you to generate a stream of high quality, targeted traffic to your website. However, while keywords are important (and we would advise you to continue using them to help identify terms your target audience use to find your business) search engines are evolving. Search engines no longer look at just keywords to deliver search results, but also location, proximity, previous searches, user search history, device and other factors to deliver the best search results. In addition to this, influential search engines are changing their algorithms to favour "topics" rather than just keywords - and so the very nature of content creation is changing. In light of these changes, content creators and SEO experts are moving away from creating singular blog topics optimised for a specific keyword and instead using a 'topic cluster' approach. Is your company using a topic cluster approach? If not, this is one of 10 reasons why your HubSpot setup might not be going to plan. A topic cluster is where a single "pillar" page (as shown in the diagram above) acts as the main hub of content for a specific topic. The pillar page provides a broad overview of the topic and briefly addresses the specific components within it. Think of it like a summary or road map of any subject that's around 2,000 to 5,000 words long. As an example, this page itself we would consider a pillar page, of which we will surround with a number of blogs around setting up HubSpot. The specific components of the topic - known as "cluster content" are then explored in detail and linked to and from the pillar page, giving the reader easy access to all the information they need on the topic. For example, if you provide accounting software for small businesses - your main pillar page could be "accounting software for small businesses". The cluster content you link to that page could then be around: "choosing the right accounting software", "the benefits of accounting software", "setting up your accounting software" and much, much more. The idea is that your pillar page provides all the information your visitors need on a specific topic, helping to educate them and move them further through the buyer's journey. Furthermore, from an SEO perspective, by using topic clusters you signal to search engines that there is a semantic relationship between your pillar page and the content it links to. Crawlers and search engine bots will be able to quickly map out your topic cluster (as it's easy to navigate) and search engines will identify your pillar page as valuable. As you build out your topic cluster and interlink the pages within it (remember, search engines use links as a signal of authority) the value of your pillar page will increase and so too will its rank. When the pillar page does well, so too will the individual pages linked to it, helping to build your website authority and rank higher on search engine results pages (SERPs). 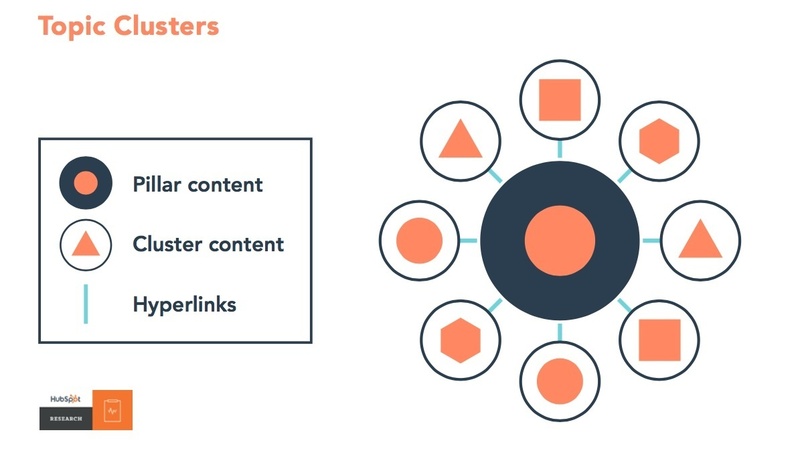 Find out more about topic clusters and why your content strategy should revolve around them. If you are building your website in HubSpot, as opposed to simply integrating the HubSpot platform into it and using its functionalities to drive your marketing, you will need to define your website URLs, structure and optimise your web copy. First and foremost, having identified the keywords for your website, you need to map those keywords to individual web pages. In order to make the process easier, map your website pages out on a document so you can see your entire site structure as this will allow you to link your keywords and pages together logically. Once you have done the above, you need to work on your website copy. Searchers who arrive on your website are looking for answers to their business problems and on that basis, you need to have high-quality content that offers solutions. Your content should incorporate your designated keyword terms as this will enable search engines to find and understand your content. Lastly, avoid keyword stuffing as this will impact your website negatively from an SEO perspective. Instead, try to incorporate your designated term - or terms - into your copy naturally. Make sure your website copy focuses on your audience and provides them with the information they are looking for. ARE YOU READY FOR HUBSPOT? 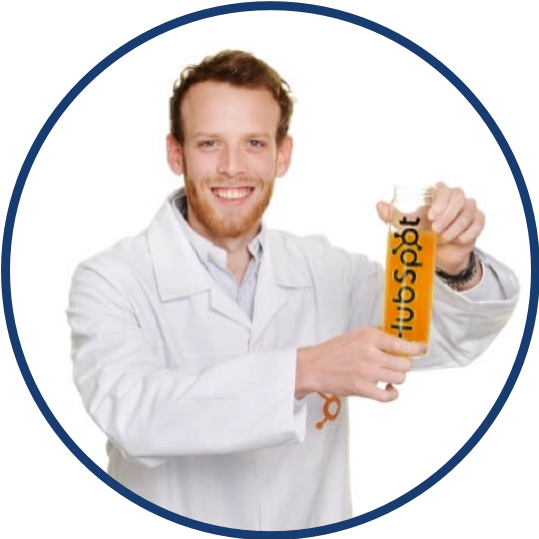 If you're interested in finding out how easy it will be for you to set up HubSpot and whether your a good fit for the tool - please book a 30-minute website assessment now with one of our HubSpot Managers who will be able to guide you. Now that you have identified your goals and lead stage definitions, and both marketing and sales are working towards achieving those goals together, you need to think about who your potential customers are – and that means developing buyer personas for your business. Buyer personas are representations of your ideal customers that are built out of actual data and they are a fundamental pillar of your marketing strategy. They enable you to create high quality, targeted content that attracts your ideal audience. In order to build your buyer personas, questions such as: “What industry do they work in?”, “What’s their job title?”, “What are their day-to-day responsibilities?”, “What problems do they face at work?”, “What articles and/or publications do they read?” will help you to build them. The accuracy of your buyer personas will only increase as you ask more specific questions, and as you begin to understand your customers and their ‘pain points’ (business problems), it will ultimately enable you to create high-quality, targeted content which appeals to the specific audience you want to attract. When reading and interacting with your buyer personas, they should be thinking “wow, this piece of content was written specifically for me”. 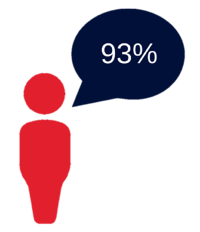 Want to find out more about developing buyer personas? Check out this blog! In today’s world, consumers - your prospects - are constantly bombarded with information, products and services online - most of which they are uninterested in as they fail to appeal to their particular problem or interest. Therefore, in order to capture the attention of your prospects online, you need to craft high-quality, educational content that is tailored to their interests. Without a content strategy, regardless of how much you invest in content marketing and content creation, you will not reach your target audience or get the results you want. A content strategy is essential not only because it ensures you create content that is aligned with your business goals - i.e. generate more leads or brand awareness - but also helps you to determine what content you should create for your target audience. What's involved in a content strategy? Firstly, define your goals. Every marketing strategy is built around achieving a certain goal - and content marketing is no different. Depending on your business goals, the content you create will differ. For example, if you want to generate more brand awareness and educate your target audience, you would use blogs, thought leadership articles and opinion pieces. On the other hand, if you want to drive lead generation for your business, you would use gated content assets such as eBooks, whitepapers or case studies. The topics you cover will depend entirely on your target audience's pain points - and in order to establish those pain points, you need to build and/or refine your buyer personas. Buyer personas provide you with much-needed insight into your prospects, allowing you to understand their business pain points and goals. If you understand the problems that plague your prospects, you will be perfectly placed to create high-quality, specific and relevant content that helps them to resolve their issues. With high-quality content tailored to your target audience, you can help them and demonstrate your expertise and knowledge of their business problem. As you continue to create high-quality content that solves their problems, you position your business as an authority and the go-to for any issues they have. Before you start creating brand-new content assets, it's important to review your existing content collateral to see if you have anything of value or anything that can be repurposed, and if there are any content gaps. After reviewing your content, you need to map that content to the buyer personas you built or have already and to specific stages of the buyer's journey: Awareness, Consideration and Decision. 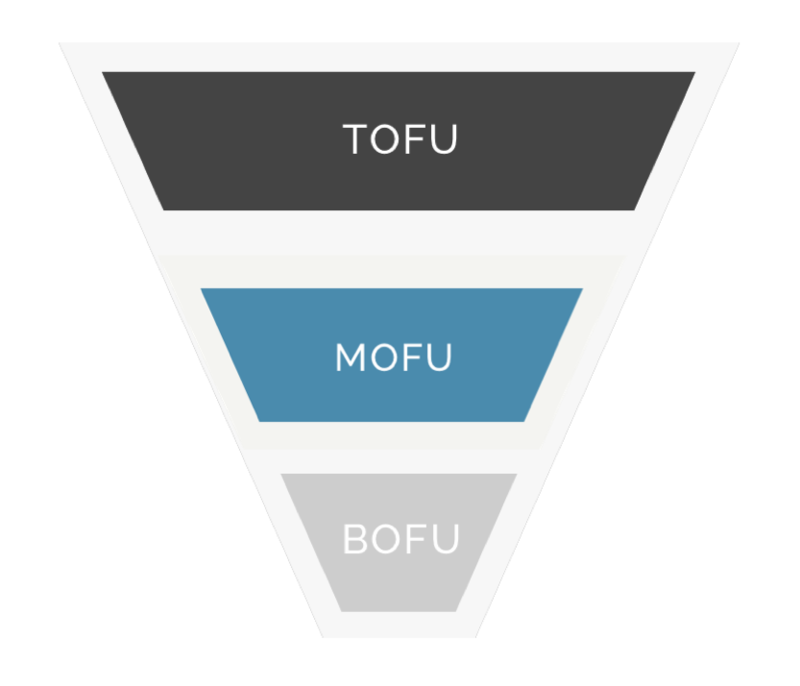 Awareness content is at the top of the funnel (TOFU), whilst Consideration and Decision content is at the middle and bottom of the funnel respectively. By segmenting your content into these stages you will be able to understand how that content functions and what its purpose is. For example, blog posts are usually used for generating awareness and generating website traffic, whereas eBooks - as a longer content format - are usually gated behind a form on a landing page and used for lead generation. You produce top of the funnel (TOFU) content such as blogs, which are aligned with your buyer personas and published on specific channels. Top of the funnel content allows you to generate awareness online, which in turn will bring interested parties to your website. TOFU content is fantastic at building brand awareness and generating website traffic. Ensuring top of the funnel success is crucial in the Inbound Methodology. This is one of 26 tips we've listed that make you a more successful HubSpotter! Then, you produce middle of the funnel content such as case studies, detailed eBooks, fact sheets and whitepapers locked behind a form that website visitors must fill in to access the content, converting them to leads and allowing you to capture their details. You then enrol your leads into a workflow based on their level of engagement with your website, and then send relevant, timely content offers to slowly nurture them until they are ready to engage with your sales team. 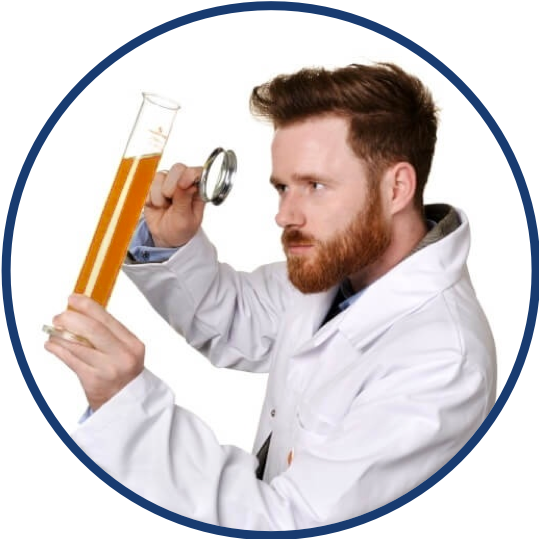 Finally, when your leads reach the bottom of your sales funnel and are potentially ready for a purchase, you use content such as pricing documents, consultation documents and demonstration packages to determine if these leads are indeed ‘sales ready’ and can be engaged with by your sales department. As well as auditing your content and developing a plan to create new content, you should also conduct keyword research to identify relevant, low competition keyword terms. Keyword planners, such as Google AdWords' Keyword Planner, will give you search volumes, keyword competition, similar terms and much more to help you find the best keywords for your content. Avoid using generic, short-tail keyword terms as they are likely to have high competition and not specific to your business. Instead, look for three or four-phrase terms (long-tail keywords) that are related to the products and services that you offer and actually have search volumes. This way you can be sure that the people executing searches on these terms are looking for exactly what you offer. Using Google AdWords' Keyword Planner you can quickly build out a list of specific, long-tail keyword terms that you can use for your content creation, helping you to attract interested parties to your website. Once you have created your content and have content at every stage of the sales funnel, you now need to promote it across the channels relevant to your business and target audience. By promoting your content across these channels, you increase your business' exposure and help more interested parties to find and engage with your website. While Marketing Automation provides you with the tools to streamline your marketing and sales activities and to make them more effective – you first need to review and restructure your current marketing and sales approach to truly utilise the power of the platform. With this considered, it is important that you bring both your marketing and sales departments together to agree on measurable and realistic goals for both teams along with responsibilities. Are your marketing and sales teams disconnected? See some useful tips on how to align marketing and sales and optimise your lead handoff. As you continue your marketing and sales activity, these goals should be re-evaluated every month to identify progress, opportunities and room for improvement. One of the main activities that needs to be considered is the Marketing to Sales handover. We see many companies who spend thousands of pounds trying to generate new leads and business enquiries, but without a process of managing a lead so that it reaches the sales time at the optimal time - you’ll more than likely either put the lead off by being too ‘salesy’, or miss the opportunity by getting in contact too late. The idea is that both marketing and sales communicate frequently to assess their performance and to ensure that each department has complete visibility of activities. For any business, having a clear qualification process for leads and a series of lead stage definitions is crucial to ensuring sales and marketing resource is utilised correctly in the process of lead nurturing. 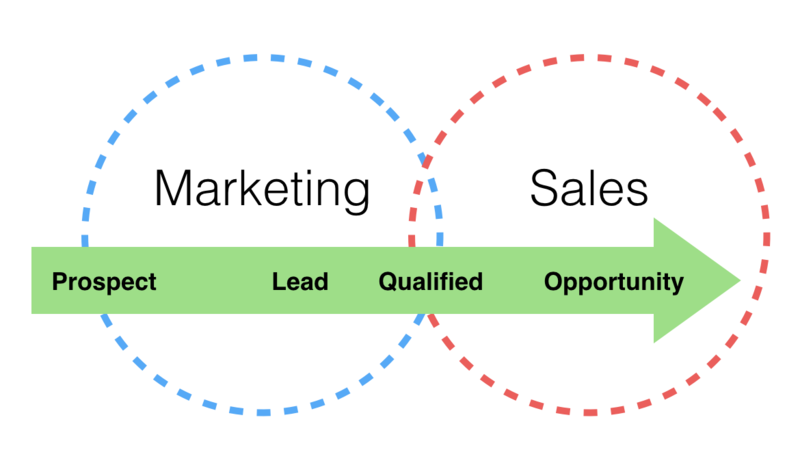 Having alignment between sales and marketing will ensure that you have complete transparency of the stages of your sales and marketing pipeline and activity, ensuring only qualified leads are passed over to sales. In addition, if your business has a far more complex sales cycle and the default lead stage definitions do not suffice, you can create a custom lifecycle stage by creating a custom contact property within HubSpot. You can also create lists in HubSpot to support your sales team and make it easier for them to know just what stage leads are at! When setting up HubSpot, you’ll either be creating your new website in the platform, or you’ll be looking to integrate HubSpot with your existing website. CTA: A call-to-action (CTA) is an engaging button or link that encourages a website visitor to take a specific action on your website. You use calls-to-action to drive website visitors to landing pages. By using a variety of compelling CTAs throughout your website, all linking to different content assets on landing pages, you can increase your conversion opportunities. Landing Pages: Landing pages are HubSpot-hosted pages that describe and provide a particular content offer such as an eBook or whitepaper in return for contact information. Your landing pages will have a form embedded so visitors can enter their details. Forms: Forms allow you to collect information about your visitors - operating in conjunction with your HubSpot landing pages. Thirdly, you need to agree on the capture rules and the fields that your pages will be using. This is effectively the information you will be asking visitors for and recording in your HubSpot CRM. Make sure to collect affirmative consent on all of your forms! See five more things you can do in HubSpot now to ensure it operates to the best of its ability! Identifying your marketing channels is all about understanding where your potential customers are spending their time and some channels will work better than others. For example, if your target audience are aged fifty and above, you probably wouldn’t use Snapchat as your main marketing channel. On the other hand, if your target audience are business professionals aged between thirty and forty, LinkedIn might be key. The channels you choose will depend largely on your business and the kinds of customers you are trying to target - hence why you have gone through the process of developing your buyer personas. As mentioned above - not all of these channels will be applicable, relevant or right for your business, which is why it is important to familiarise yourself with each of them, test them and measure your results as you go so you can determine what works - and turn off what does not. It is highly likely that prior to the implementation of HubSpot, you will have operated on numerous channels and developed an understanding of what works - and what does not - use that data to inform your choices now. If your website is optimised for search, more people will find it via Google - and search engines will be able to understand just what your website and business are about. Paid search, known as pay-per-click marketing, is a model where advertisers pay a fee each time one of their ads is clicked. It is essentially a way of buying visits to your website. Channels such as Twitter, LinkedIn, Facebook and others are particularly effective at helping businesses to reach their target audience online and to promote content. Display advertising allows you to advertise your products and services on websites on the Google Display Network. Email marketing continues to be an effective and efficient way of reaching prospects - provided it is done right and not spammy! Paid social - or paid media - is a method where you advertise your products and/or services on social channels like Facebook and Twitter. With digital PR, businesses take all the traditional elements of PR and replicate them online - building relationships with key online journalists and content writers. Blogging is so important that it deserves it's own box. Blogging frequently means your constantly growing your website, and educating your contacts at the same time! Content marketing is the distribution of high-quality content - such as blogs, eBooks, case studies and others - to attract, engage and convert prospects into leads and eventually customers. It is important to appreciate, however, that the channels you incorporate into your digital marketing plan should aim to unify the customer experience between all of them, providing a comprehensive and seamless marketing strategy which aims to satisfy your customer at every step of their interaction with your business. Choosing the right channels is conducive to the reach and exposure of your business online. Try to identify the channels that will be most lucrative and practical for your business to market with and through! Within HubSpot, it's entirely possible to see a contact's original source - in other words, the channel through which they first arrived on your website. This information can be tremendously useful, especially when it comes to prioritising your marketing investment. What 12 services should an Inbound Marketing agency offer? Find out here! Wondering how long it would take to set up HubSpot? We have a blog post that addresses this question! With your website online and the initial stages complete, your website will begin to generate leads and new contacts into your HubSpot platform. Therefore, you need a platform to be able to manage and monitor these leads effectively and ensure that the transition from marketing to sales is seamless: you need to incorporate your CRM platform. If you have an existing CRM system, you might be looking to integrate the system with HubSpot. 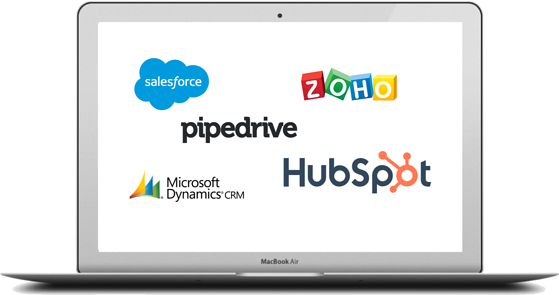 HubSpot has native integrations with Salesforce, Microsoft Dynamics, SugarCRM, ZohoCRM, and Netsuite. However, before you integrate your CRM system with HubSpot, you should identify the data you want to transfer between the two systems. Information for segmentation, personalisation or reporting purposes should be synced to HubSpot. If you don’t have a current CRM system, or aren’t happy with your current tool, HubSpot’s CRM provides everything your business needs to organise, track, and nurture your leads and customers. However, if you do have WordPress for example, you probably would like to know how to use HubSpot with WordPress - we have a blog post answering this and related questions. 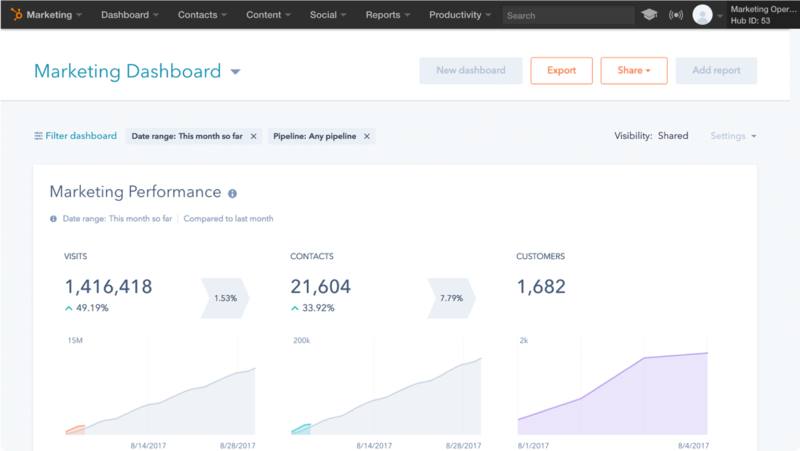 With tools to manage your pipeline, help your sales team to keep on top of prospects, and automate lead nurturing, HubSpot’s CRM streamlines the entire sales process. If there are any other tools or applications you need to integrate with your HubSpot platform, HubSpot supports a number of integrations - if you are unsure of just how those integrations work, here are five examples. As mentioned previously, HubSpot supports a number of integrations, including MailChimp and Slack, so make sure you check out the HubSpot connect library to see if your software is supported! Connect your marketing tools & scale activities with HubSpot’s integrations. Clearly, implementing HubSpot is no easy task - and all of the above is just the beginning. Once you are live with the platform, you enter the ‘business as usual’ phase - the phase where you create content, generate leads, move leads through the marketing and sales funnel, and use the data collected by your HubSpot analytics to improve your marketing and sales activity. Does all of this seem overwhelming? See how HubSpot Partners can help here. We've been a HubSpot Partner for six years and have reached Diamond status - the highest accolade. This is testament to our continuous dedication to delivering client success. As a HubSpot Diamond Partner, we have helped a number of businesses to set up HubSpot within just twelve weeks. Our process is comprehensive and includes how to configure the HubSpot tools and how to best use the platform. Our twelve-week approach allows our clients to hit the ground running, grow their marketing and sales activity, and return to ‘business as usual’ in no time at all. For the entire Growth Suite, find out more information here. 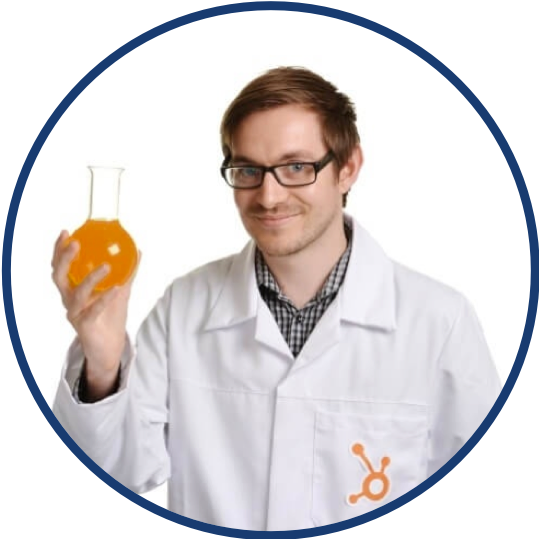 We are currently offering free 30-minute HubSpot Setup walkthroughs. In these walkthroughs we will run through a 12-week plan that will help you to set up HubSpot, as well as show you exactly how to effectively onboard HubSpot with a HubSpot Diamond Growth Partner.